We aim to BEAT our competitors on price! At Airside, we provide a premier meet and greet parking service at London Heathrow airport. 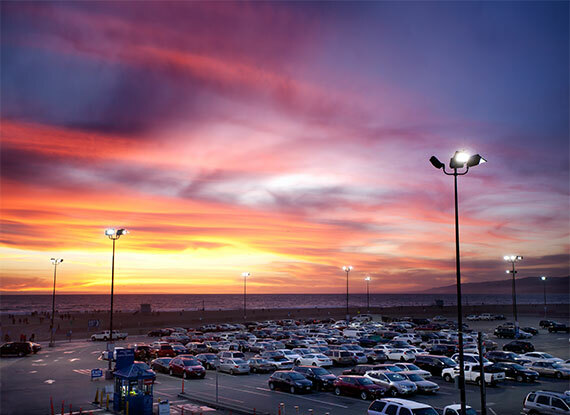 We will be providing airport parking services with experienced drivers. We are sure that our customers will be very happy and many will continue to use our services year after year. So whether you're booking a family holiday or a business trip, our staff will be glad to help you arrange your airport parking. Alternatively, book through our easy to use secure online system where instant quotes and bookings or by telephone where one of our representatives will be happy to help. Our services focus on making travel easy for our customers and providing convenient Meet and Greet chauffeur service. Our car parks are protected by 24-hour security surveillance technology. We strive to regularly update our systems and revise procedures so you can travel with the assurance that your vehicle is in safe hands. Successful relationships ultimately come down to the people involved and all of ours are highly skilled, committed and professional. One thing that’s stands up apart from our competitors is the quality of our service. We provide timely services with experienced drivers. For us high standard service and quality will always come first. We provide best services to our customers with free car wash (outside) to all our customers. Brilliant service, Best bit of holiday! Service and timley collection both ends has been first class, will use again. Used for the first time a week or so back. Great service, great value. Will definitely use again and wouldn't hesitate to recommend to others. Does exactly what's promised on the side of the tin! Thank you Airside Parking. Nice, timely services, Much appriciated. Good services. We were very pleased with the service provided by Airside Parking - both collection and delivery were very smooth & inline with our expectations and the car was retured washed & cleaner than when delivered to them! Happy to recommend. Very good value. Very good service. Would not hesitate to use Airside again. Good Service, On time waiting for me. I found this company last minute, after I found out that all trains to and from Euston were cancelled on the day I planned to return home. They were the second cheapest parking option I found, and they met me at the airport instead of shuttle-bussing me in and out. Communication was fantastic and the man who took my car and returned it was so nice. Based on my my experience, I would recommend Airside Parking without reservation. Very good - sparkling clean car, well worth the (little) extra. Cannot fault the service received, everything has been dealt with in a speedy and timely manner and the car was spotless on arrival. Excellent service, quick and very friendly. Good Service, On time, Driver was on time. Perfect Service, no waiting on time. Beautiful shiny car that returned excellent service, friendly service. Thank you. Fantastic Service, Lovely guy !! Excellent service very efficient, polite phone service. Car very clean. Reliable and friendly customer service. They care about you and your vehicle. ing is on time. Also call on arrival to ensure all is timely. Communication is eService is fabulous. They call on departure to ensure everythxcellent. I could refer Airside enough and surely will. Thank you. Thank you very much for the timely and good service. Service to be expected was excellent, On time. Great Service! Prompt return, Good Valet and overall service. Thank you. Good, fast service, Car cleaned on pick up. Great, Thank you. Thank you, fantastic service, very helpful and considerate. Excellent customer care, stayed late. Thank you. Fantastic Service! Would recommend to anyone and definitely use again. Very pleased with the service. Once we arrived at the terminal HITESH PATEL was there to greet us and take the car for valet parking. The services included the two week parking and a full car wash. When I arrived HITESH PATEL was there to meet me with the car. The car was clean and mr Patel was there to meet me in time. I would recommend the service to everyone as it is good price for your money. I very rarely give any reviews but I really have nothing to fault about this service. The price was affordable, the communication about drop of and collection was accurate and the service I received from those in person and on the phone was absolutely brilliant. I would like to recommend and use it definitely use again.